Coffee can be consumed and brewed in various ways. One preferred method is the pour over, which produces a much cleaner, crisper cup than a regular drip machine. With the Kalita Wave ceramic dripper, a barista pours hot water over coarse coffee grounds, which lay flat in a paper filter. The first step is the initial bloom, which soaks the grounds and coaxes them to expand. The pourer waits about ten seconds and then consistently drenches the grounds with a steady, even pour, which starts the flow of coffee to the hot carafe. Brewing with the pour-over method is a rhythm of pouring just boiled water over the grounds, taking care not to drown them and plug the filter. 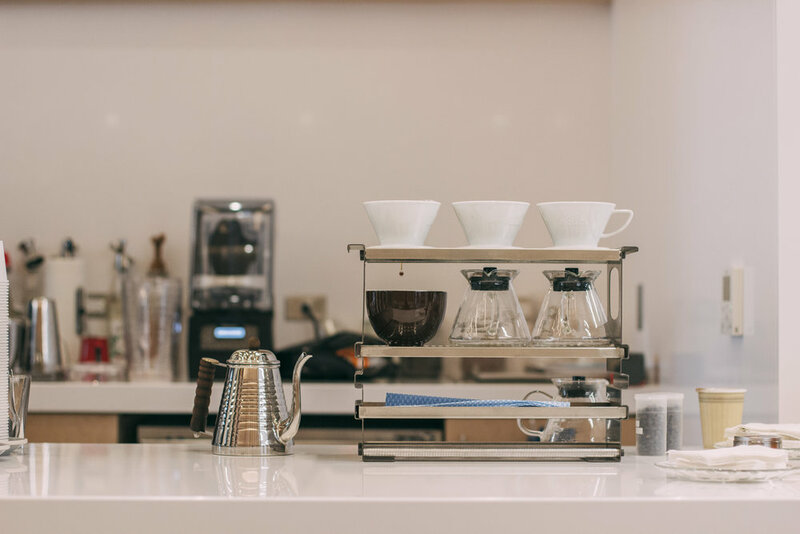 The process can take from three to six minutes, and the result is a clean, fresh cup with a rounded flavor and no residue from previous brews. The Kalita heat resistant tempered glass server allows for multiple coffee lovers to enjoy a pour over simultaneously.